Download Sign Up UI Kit PSD. 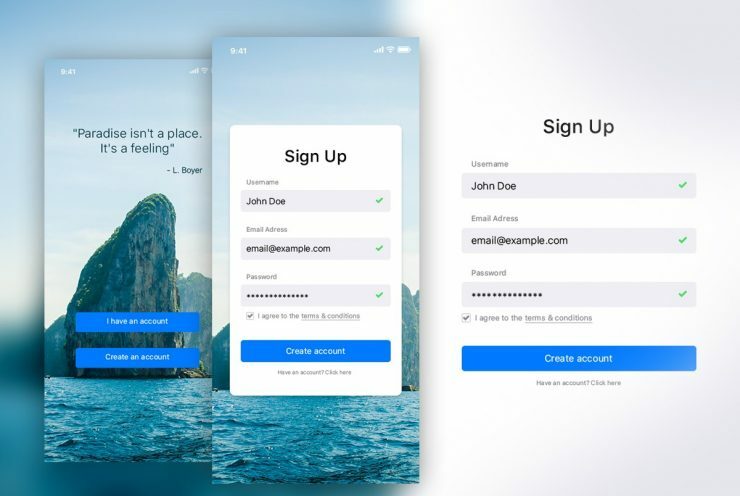 A free user sign up ui kit that will help create the process of user registration on your website and mobile application. It has a clean and flat design which works for any type of ui design. The set contains 3 different sing up ui Screen template for creating custom designs. This free isgn up ui kit is highly customizable, so you can easy to change colours, sizes, fonts etc. Feel free to use this Sign Up UI Kit PSD in your upcoming personal or commercial projects. Hope you like it. Enjoy!